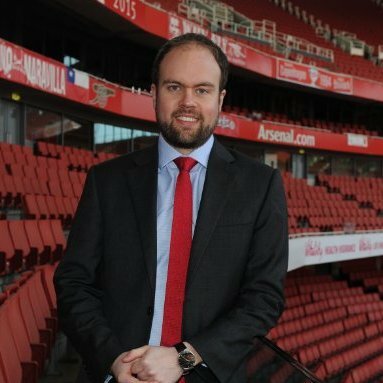 In this latest industry interview, we hear insights from Tom McCann, Head of Premium Sales, Service & Operations at Arsenal Football Club, on the latest trends in Premium Seating and F&B, as well as details on the stadium expansion and redevelopment of the Club Level at Emirates Stadium. Tom, can you start off by telling our readers a little bit about yourself, your career path to date and the standout moments? I’ve basically spent my entire working life in the stadia sector, starting off at Comperio Research back in 2006, before moving to Club Wembley at Wembley Stadium with IMG. I began as a Sales Executive, where I sold over 250 Premium Seat and Corporate Box Licences, each secured on a 10-year contract, generating over £20m of contracted revenue, before being promoted to Client Retention Manager, where I was responsible for designing, implementing and executing the Club Wembley Client Retention Process, responsible for annual retention of c.4,500 clients, worth £600m in contracted revenue. I also consulted on the implementation of the Client Retention Process at The O2 arena in London, resulting in retention of more than £1m of contracted revenue. I was then promoted again, this time to Sales Manager, and had overall responsibility for sales of all ad-hoc event hospitality at Wembley Stadium, such as concerts, the NFL International Series and Saracens matches, as well as the UEFA Champions League Final 2011 and 2013, and Olympic Football during London 2012. In 2010, this represented revenue of £7.5m and in 2011, over £21m to date, including £12.5m from the UEFA Champions League Final. I also liaised directly with each football club when they competed at Wembley Stadium, arranging their event-day hospitality. Additionally, I was responsible for arranging the hospitality requirements of all Club Wembley members wishing to attend UEFA EURO 2012. In 2012, I was offered a role in Brazil to setup a hospitality company, two years prior to the FIFA World Cup. I had overall responsibility for developing the stadium hospitality business for IMM, the Brazilian JV company initially formed 50:50 between EBX and IMG, latterly between IMG and the Mubadala Group, as there was no such company in Brazil. The Public-Private Partnership worked with the construction companies to commercialise the stadia projects. 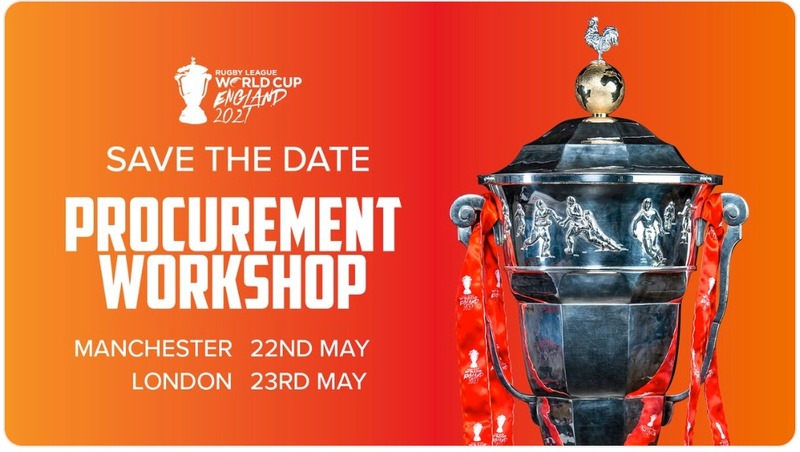 I was responsible for setting up sales teams, CRM, operations, account management and the overall management of the long-term commercialisation of the hospitality areas at three FIFA World Cup venues – Maracanã (Rio de Janeiro), Beira-Rio (Porto Alegre) and Arena Pernambuco (Recife). My role also included involvement in all areas of project development, such as: contract negotiation, review of stadia design, market research, development of stadium business plans & financial modeling, product definition, development of sales operations & marketing strategy, recruitment, training and ongoing sales team management of the dedicated commercial team on each project. The third year of operation saw the venues and event delivery go ‘live’, in addition to delivery of lots of other events. 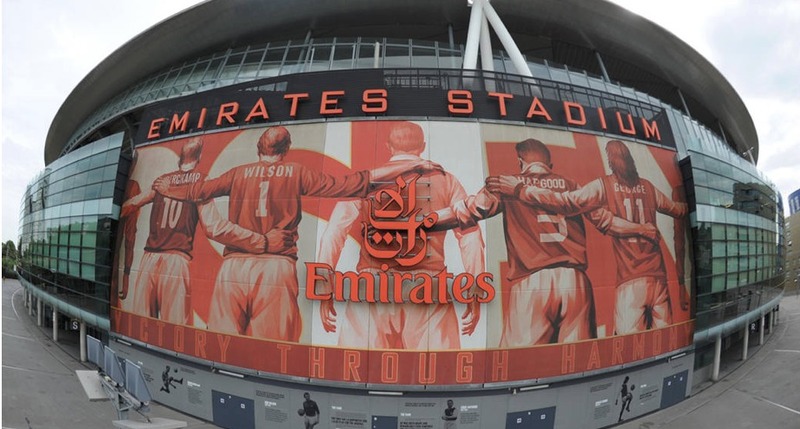 In 2015, I came back to London, as I’d been offered the role of Head of Premium Sales, Service and Operations at Arsenal Football Club, whose home venue is the iconic Emirates Stadium, where I was charged with taking forward the hospitality department. The challenge was to ensure our team and the hospitality offering was best in class and also robust enough to sell-out even in the lean years, when Champions League football might be less frequent. I re-structured our approach in a number of areas and we have continued to sell out, including the last two years, where we have competed in the Europa League rather than the Champions League. My role has also included overseeing the stadium expansion and Club Level renovations that have been ongoing over the last three years, from the creation of the business plans, to justification of the projects, and securing board approval for the CAPEX spend. 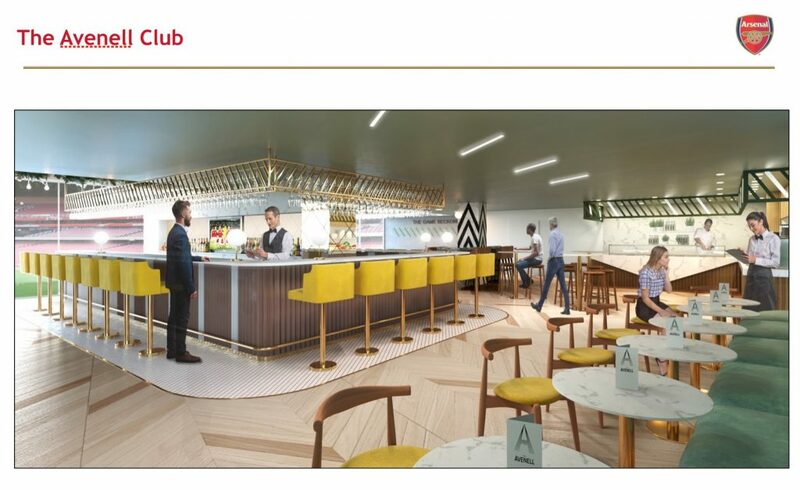 These projects have involved the addition of an extra row of Club Level seats and redevelopment of a number of hospitality/club areas, including the new Avenell Club, all directed towards ensuring we’re providing our fans and members a truly world-class offering. As you mentioned, Arsenal FC is nearing the end of a three year redevelopment and expansion of your Premium facilities at Emirates Stadium. Can you share more details on the project drivers, progress to date and what fans can expect upon completion of the project later this year? The key driver was the over demand for tickets! We have a long waiting list for General Admission season tickets and the Club level has sold out every year since opening. 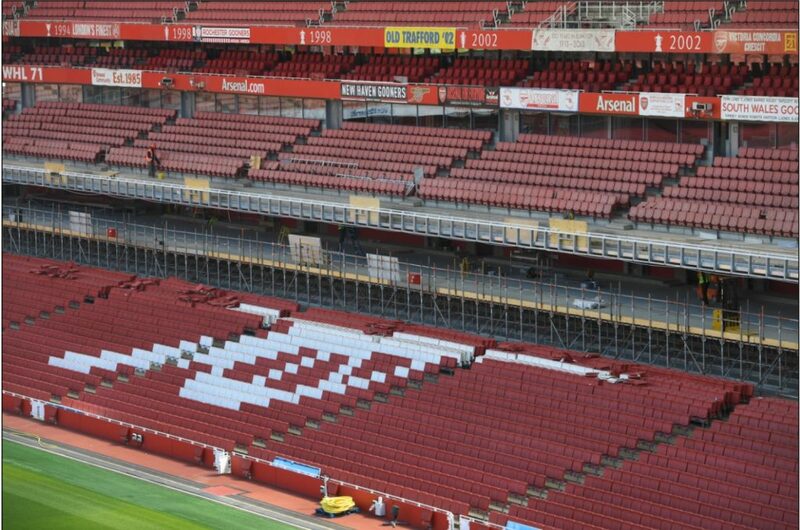 We identified an opportunity to add an extra row to the Club Level seats, which will deliver not only more revenue but also means more fans can come and watch Arsenal each week. Two years ago we began project research, with the initial questions needing answering being: ‘Can we build it and is it logistically possible’ and ‘Can we sell it’. We then set out the business case, showing the potential pay-back and took the view that we would sell out. We have already added half of the extra row of Club seats, which were built during the 2018 close season, with the other half to be completed this year, again, during the close season, so as to ensure minimum impact on our fans. It’s been a huge logistical challenge. We basically had to map out the new configuration, taking into account members original seats, and moving fans from the ‘old’ row 1 to the ‘new’ row 1, etc. It’s been very well received so far and the learnings we’ve made from the first half, will be used for the second half. 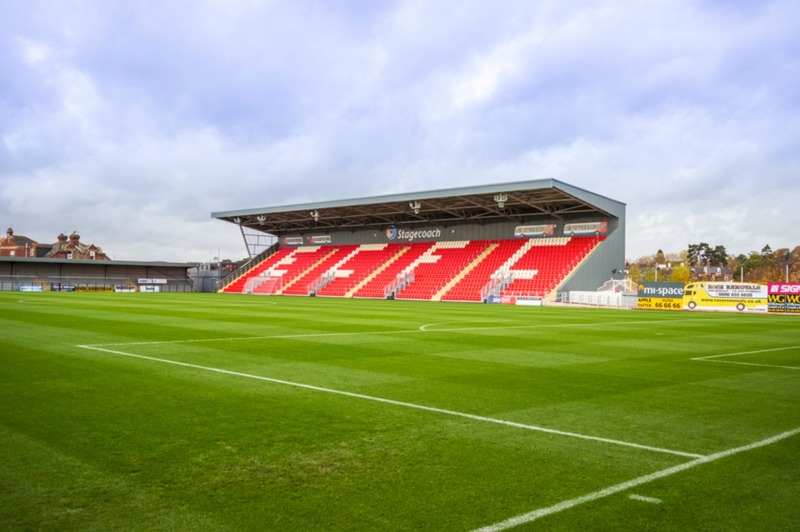 Every year since 2010, the club has made a CAPEX investment on upgrading and renovating the stadium, including the recently completed Dial Square; a new dining experience, offering everything from fresh rotisserie chicken to pizza straight from the Premier League’s first open-flame pizza oven. This space has seen food and beverage revenues increase 105% since opening. 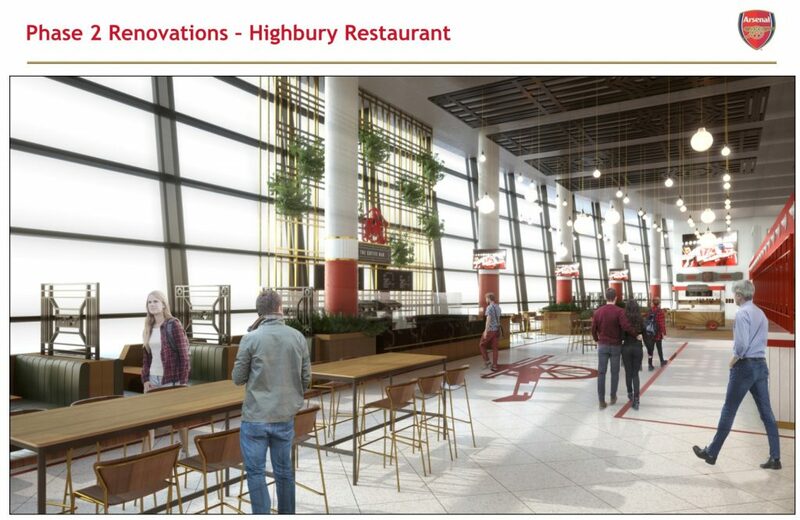 There will be two more Club Level renovations next summer, including the Highbury Restaurant, which will be redeveloped into an informal food court with a range of street-food options and one of the corner bars, Champions, will also be redeveloped. These will be the last two Club Level spaces to be renovated since the stadium opened. 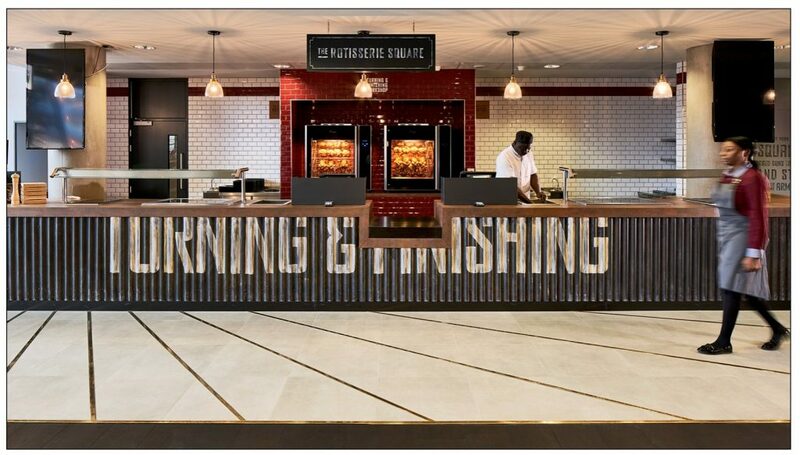 The challenge in all of this was to create on-trend, high-quality experiences and the Dial Square feedback to date shows we’ve delivered on this; the offering having raised the bar of in-stadium casual dining and informal hospitality both at Arsenal FC and the Premier League. 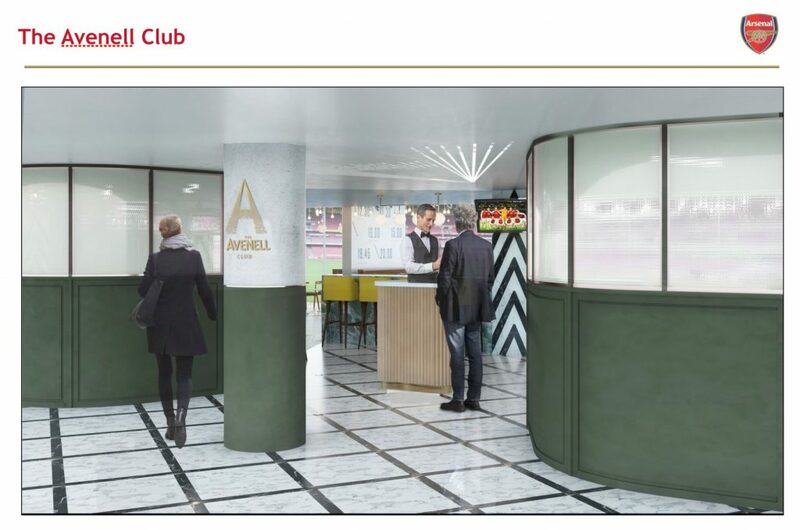 We have another exciting project this summer, with the creation of The Avenell Club, a new private-members’ club on the Executive Box Level. 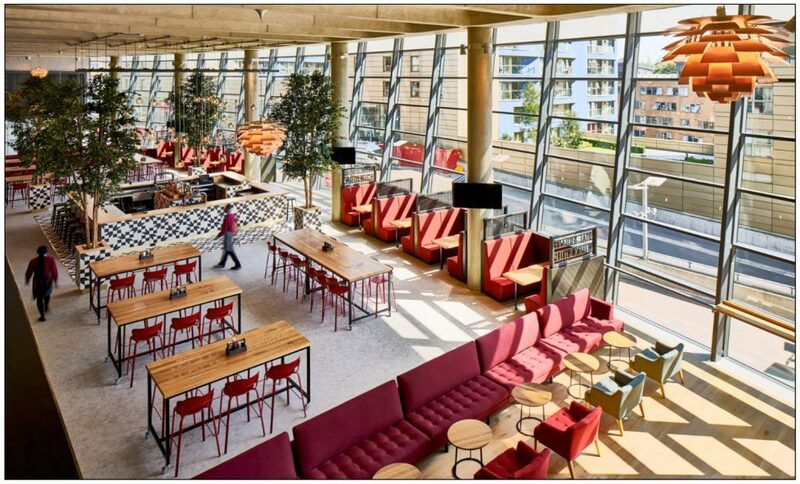 We’ve witnessed a shift in trends over the last number of years, with a move away from the traditional corporate box, with fine-dining, to demand for more informal lounge spaces offering casual dining options. This shift is what prompted us to start the process of converting fourteen boxes into The Avenell Club, which will feature floor-to-ceiling, wall-to-wall glass with panoramic views of the pitch, high-end buffet options served from live chef-stations and a feature cocktail bar. We also work hard to ensure our General Admission fans have the best possible match-day experience. As an example, we are installing TV screens at the back of the lower tier to ensure all fans can watch replays, even if they don’t have a clear view of the big screens. We also run pre-match food and drink promotions to encourage our fans to come to the stadium earlier and have had legends appearances as well. Our ultimate objective is to make sure all fans, wherever they sit in the stadium, have a great day at The Arsenal. 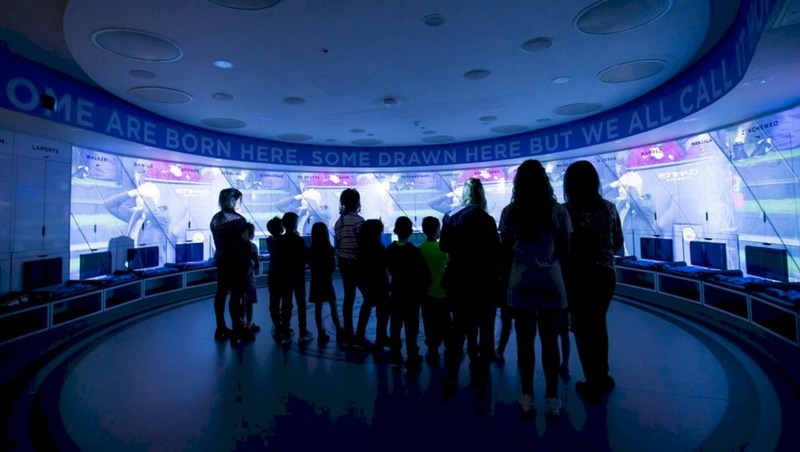 How can clubs seek to ensure that they ‘future-proof’ the latest offerings and spaces? It certainly is a challenge to deliver future-proofed propositions. 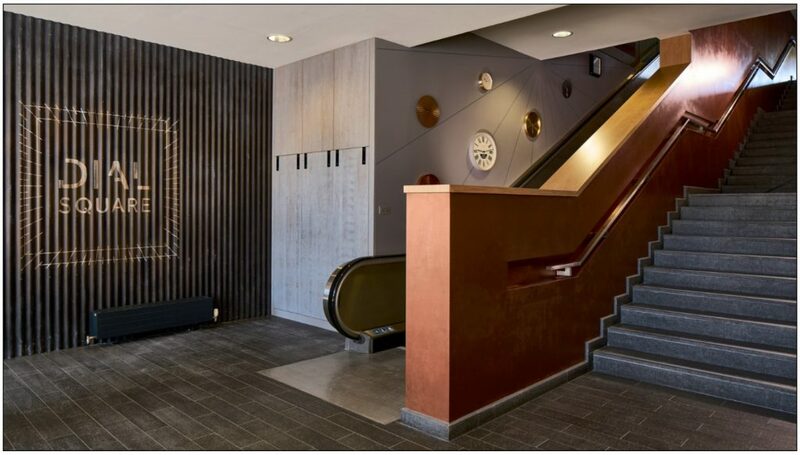 It’s widely acknowledged that the US sets the standard for sports hospitality, but we’re moving in the same direction. There’s a shift in the UK away from formal dining to more informal clubs and lounges; The Avenell Club being a direct response to this. It is vital that we keep an eye on the trends and our catering partner, Delaware North, has played a key role in this, keeping us informed of the latest catering trends not only in our sector, but those been witnessed across the board. This knowledge helps us keep the F&B offering relevant. We also get great support from our board and the club’s owner. You were a speaker at the inaugural ALSD International conference and exhibition – Europe’s first Premium Seating event – back in October and are a regular attendee at the annual ALSD Conference and Tradeshow in the US. What are the main benefits, key takeaways and learnings from participation in these kinds of events? For us, the best ideas are often stolen! I’ve been to three ALSD events in the States and they’ve all been fantastic for networking. I’m in regular contact with peers I’ve met at these events and regularly pick their brains. The contacts I’ve made at NFL teams, where investment is extremely high, can be just as beneficial as those I’ve made at MLS teams, where many have come from different industries, as the league is much newer. There are lots of ideas from the MLS that we can adapt and use in the Premier League, and it’s extremely beneficial to share long-term findings and make interesting comparisons. Getting behind-the-scenes tours of other venues, from the tech they employ, to their fan engagement strategies and fan experience offerings, all help to inform. What works in the US might not necessarily work in the UK, but an adapted model might work well. I already have my ticket for ALSD 2019 in Chicago. As for ALSD International, there was a particularly good mix of US, UK and European input, with great content and case studies, without a sense of ‘The US does it best’. It was really well positioned and I’m looking forward to the next edition in Dublin this October. Finally, how do you foresee the Premium Seat sector evolving over the next 3-5 years? I foresee a continuation of the trend towards more informal, shared spaces, over the traditional corporate box model. High-end dining will always have a place but casual dining offerings will increase. Specifically in regards to the in-stadia fan experience, which is fighting against the at-home experience, we can’t rest on our laurels, we need to continue tracking the trends and ensuring our venues offer the best possible experience. Finally, I believe we’ll see a greater adoption of US trends and styles, as well as a greater emphasis on sustainability, provenance, etc., when it comes to F&B. As an example of this, our Diamond Club, which boasts Raymond Blanc as Chef Patron, was recently awarded a three-star rating from the Sustainable Restaurant Association. This meant we were the first football stadium to receive such recognition and it’s something of which we’re very proud. When it comes to F&B, Tom believes the UK and Europe will follow the US in terms of trends and styles, with greater emphasis placed on sustainability, provenance, etc. Huge thanks to Tom for taking the time to do this interview with us and we are looking forward to doing a video interview with him later next month, which is being filmed on-site at Emirates Stadium.